Jazzturtle comes from the hands and mind of Esther Rodgers. I am a creative fiber artist. 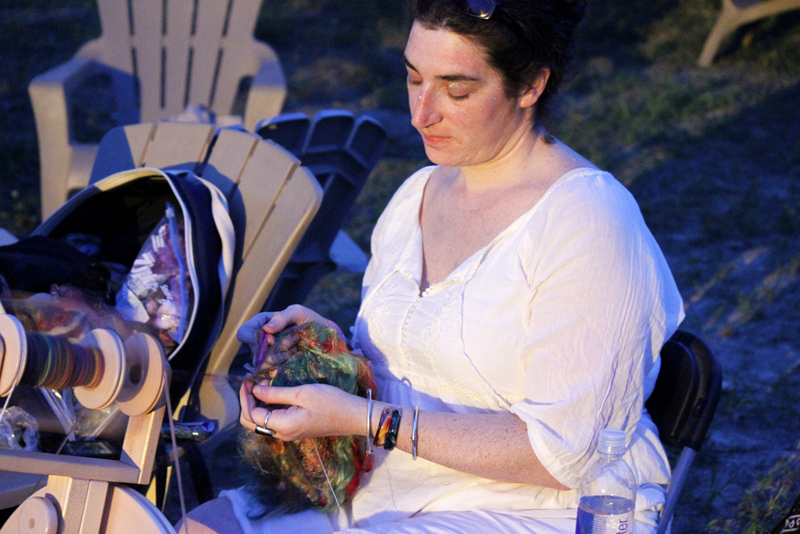 I begin with raw wool, then wash, dye, spin and weave (and sometimes knit and felt) to make one of a kind textile art. I focus on spinning textured, non traditional yarns, as well as yarns with stories. I am a full time fiber arts educator. I teach workshops around the world and have a new Craftsy class on Fiber Preparation, as well as 2 Interweave videos about Spinning Art Yarn, and How to Prepare and Spin fiber for different Striping patterns. I am a SAORI weaver, and enjoy constructing garments with my handspun and handwoven fabric. The art of fiber is a progression – a journey from one form to another. Each step is a new chance for expression. I create with a wild freedom that only raw fiber allows. By washing and dyeing all of my animal-friendly, farm-sourced wools myself, I gain full control of my textures and color. With my drum carder colors are blended to create a palette. 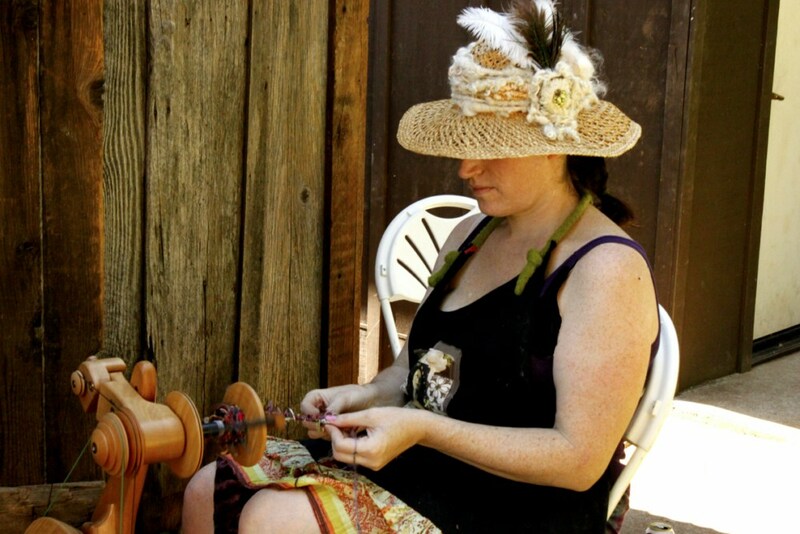 With my spinning wheel, I use innovative techniques and materials to create yarns that function as art, yarn and couture. Each skein is a wearable piece of art, or can be hung on the wall and admired. Then, another step can be taken here with the spun yarn- -woven and knit into textile couture. Each step could be considered an end, or just a beginning. I look for the extraordinary in fiber and what it can become. Whether spun into yarn, felted into cloth, or woven into a garment, I find the voice of the fiber and it tells me what it wants to be.